Our range of products include portable cabin and executive arrangement units. 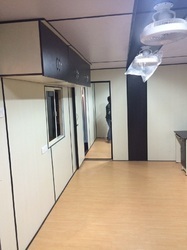 Owing to our team of dedicated professionals, we have been able to manufacture and supply Portable Cabin. Made with the hard frame, these desks are hard framed and quality checked by all professionals. These desks are superior in working and easy to use. Superior in working, these desks are elegantly finished with the best tools and accessories. Available in different specifications, the offered products are widely demanded across the nation. 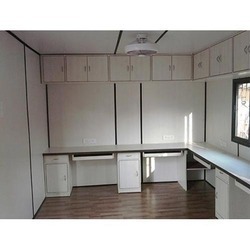 Recognized as a manufacturer and supplier, we are engaged in offering a wide range of Executive Arrangement Units. These products are provided to the customers with perfect ceiling and smooth flooring. These portable products are waterproof in nature. Widely used in industrial and commercial sectors, the offered executive arrangement units are developed without compromising on the quality. Further, before dispatching these executive arrangement units at the clients' premises, the offered containers are checked thoroughly.